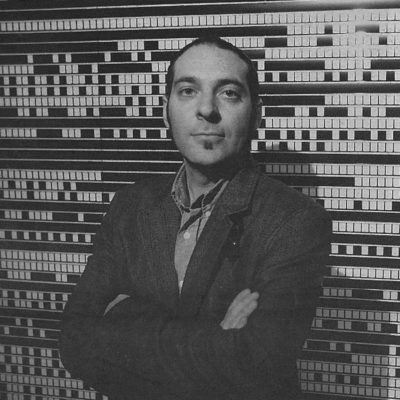 Antoni Pinent is an independent curator of contemporary art and an experimental filmmaker whose work has been presented in different cinematheques, cultural centers and international museums such as the MoMA of San Francisco (2012). With retrospectives of his work in several countries including Argentina (BIM, 2012), Brazil (DOBRA, 2015) or Spain (Xcèntric, MUSAC, etc. 2014). He is PhD in Fine Arts by the Universidad de Barcelona (UB, 2009-2016); Master degree in Education and Visual Arts (UB 2008-2009); Degree in Art History (UB, 1996-2001) he also got a qualification in Film by SAROBE (San Sebastián, Spain, 1994-1996). He received the 2nd Biennial of the Museum of Contemporary Cinema (MoCC, New York / Paris) in 2008 as well as other prizes and distinctions in the field of filmography. Since 2014 he has been working in the curatorial group of the Los Angeles Film Forum on the project ‘Ismo Ismo Ismo. Experimental Cinema in Latin America’. For Pacific Standard Time: L.A./L.A., Filmforum (it will be presented in September 2017 in Los Angeles, as a film program accompanied by an English-Spanish catalog publication and edited by California University Press). This project has received a grant from the Los Angeles Getty Foundation, the fellowship ‘The Andy Warhol Foundation for Visual Arts’ and ‘Mike Kelley Foundation’.